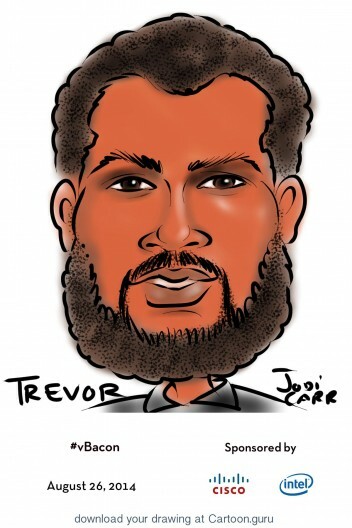 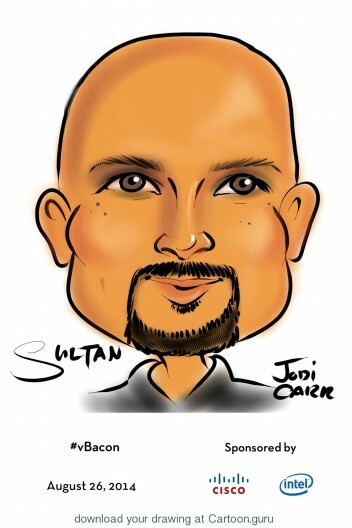 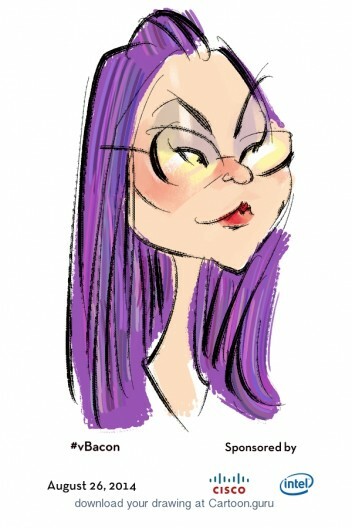 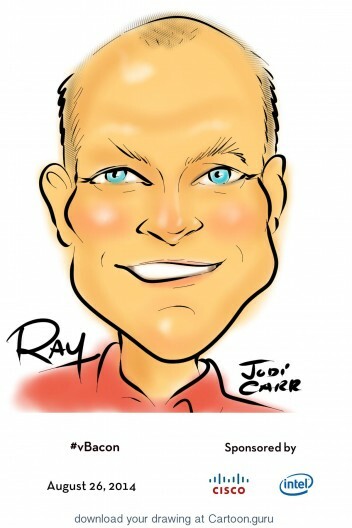 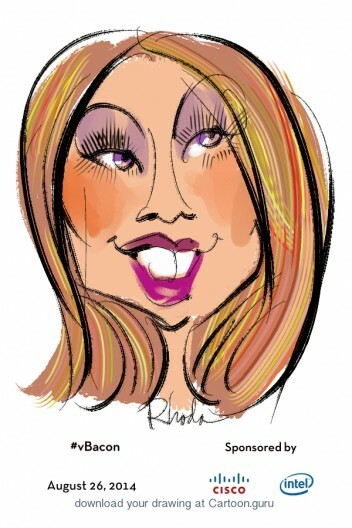 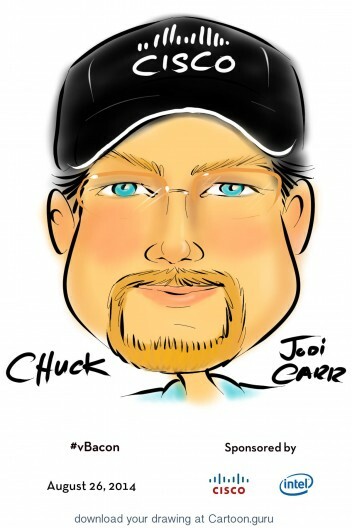 Cartoon.guru was in full force, with Jodi, Jon, Rhoda, Jeanette, and Zach on board. 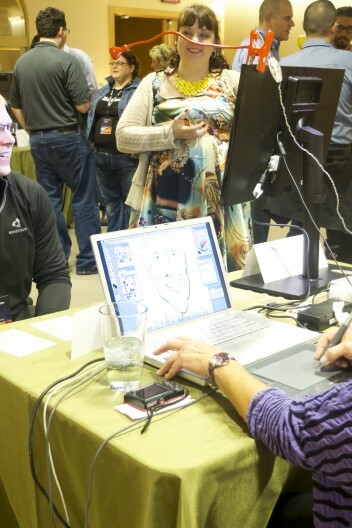 This event took place on the second floor of the beautiful Ferry Building, with Alcatraz and the Bay Bridge in view. 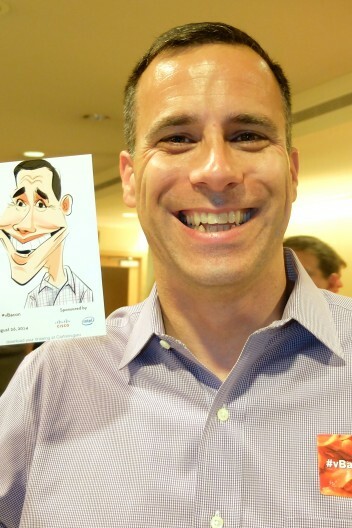 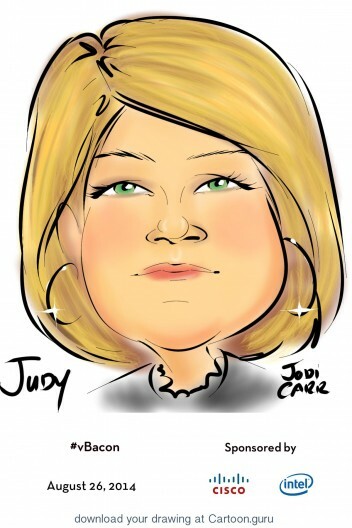 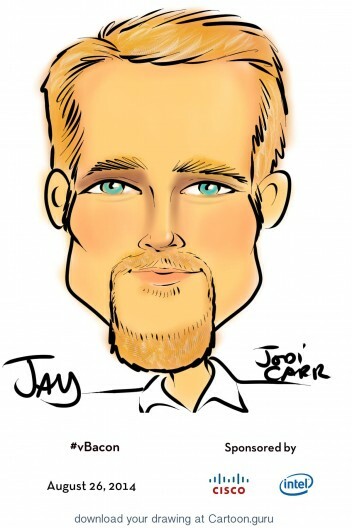 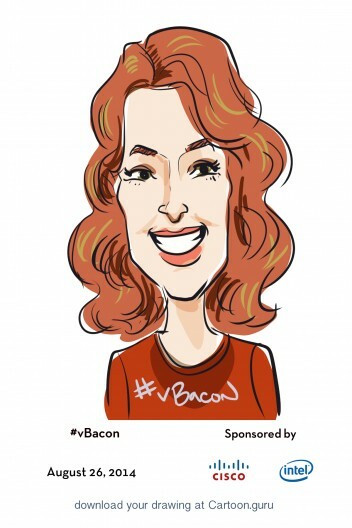 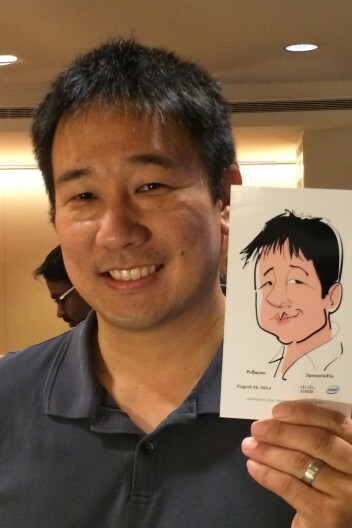 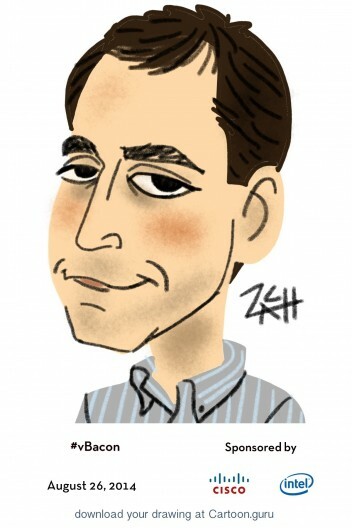 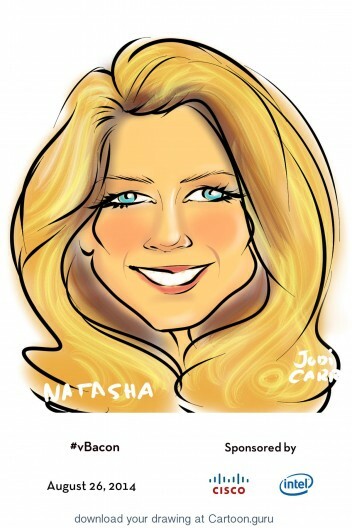 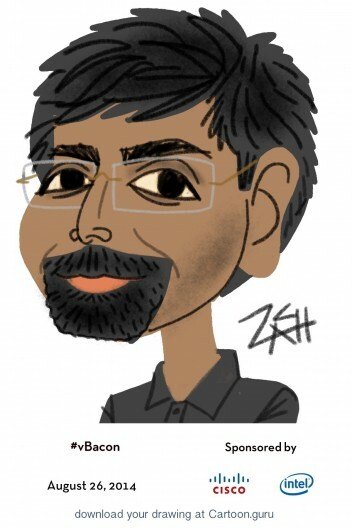 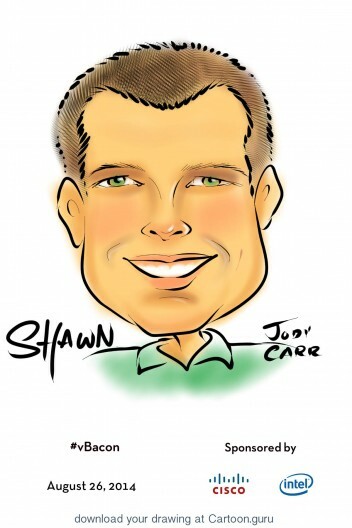 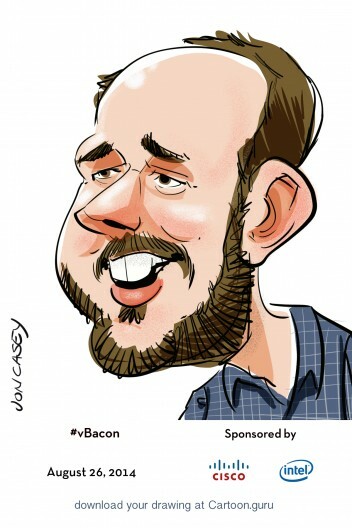 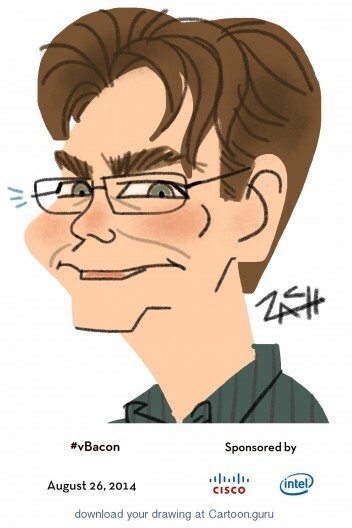 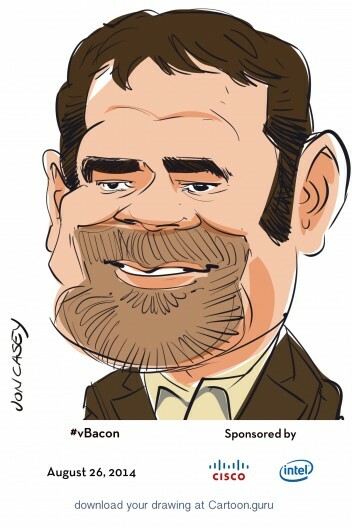 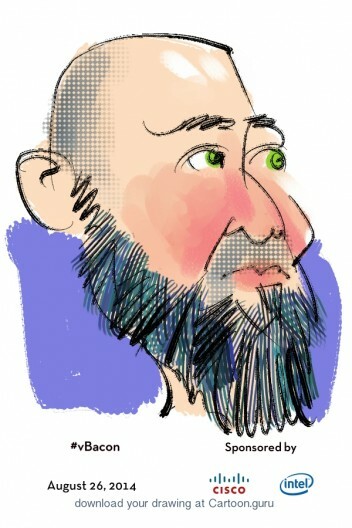 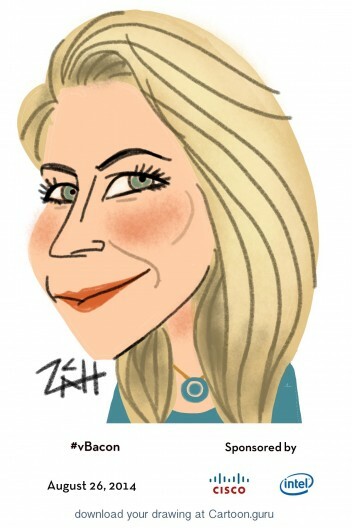 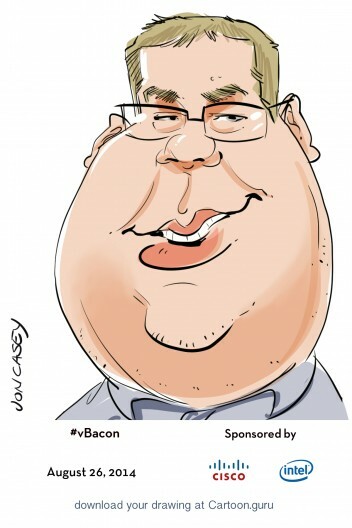 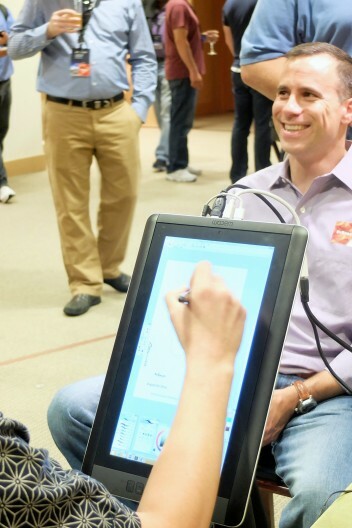 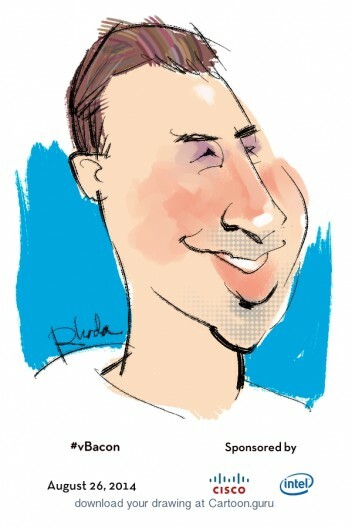 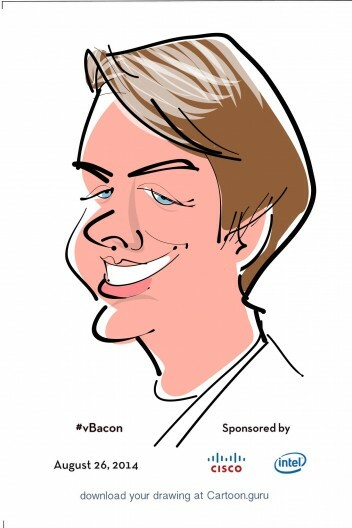 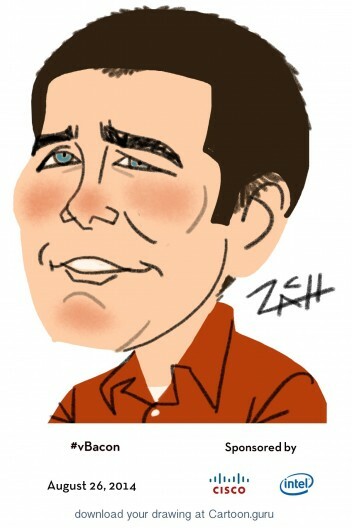 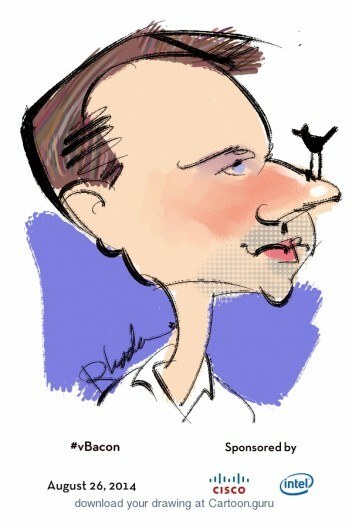 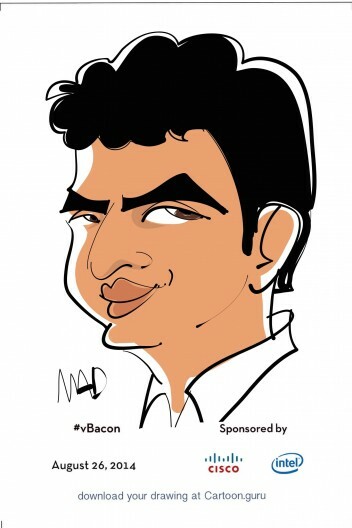 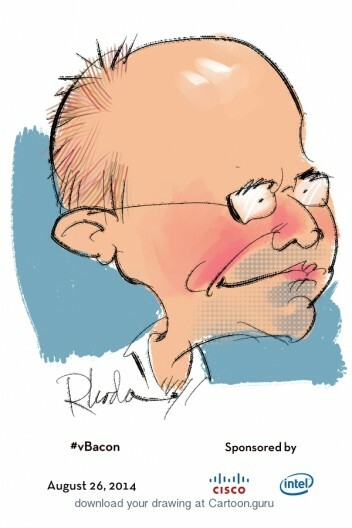 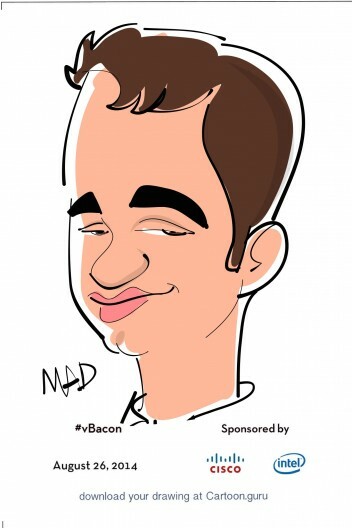 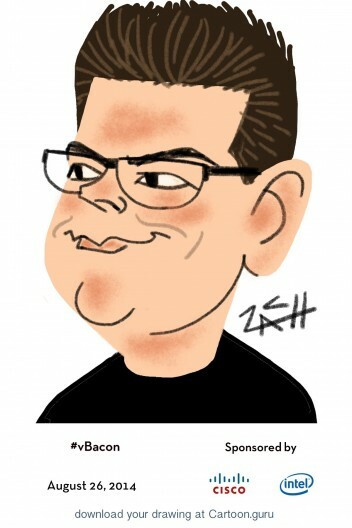 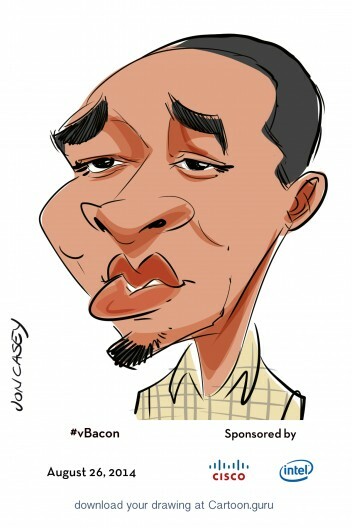 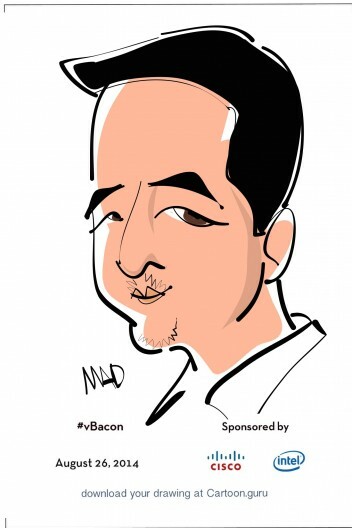 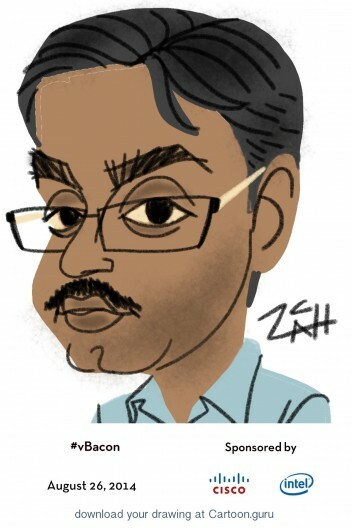 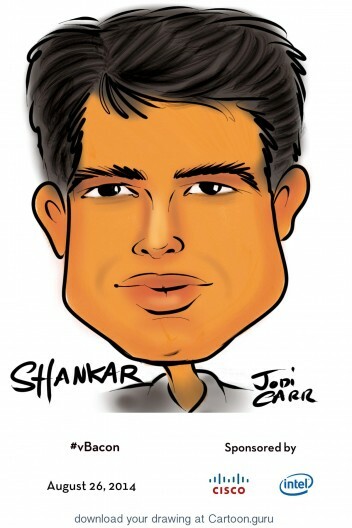 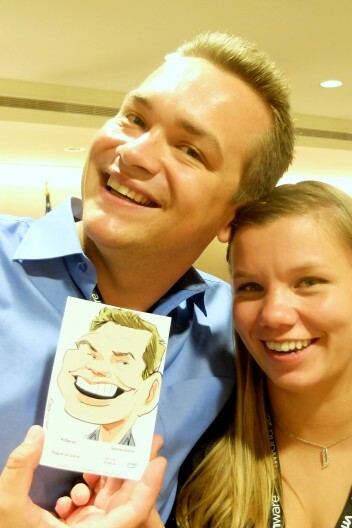 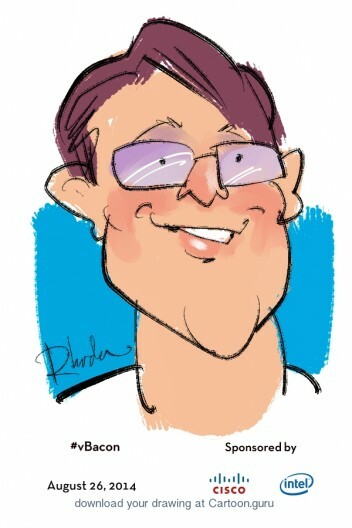 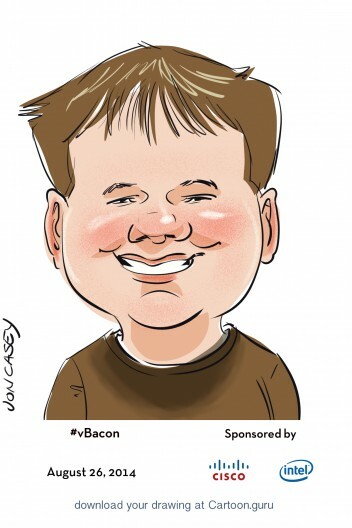 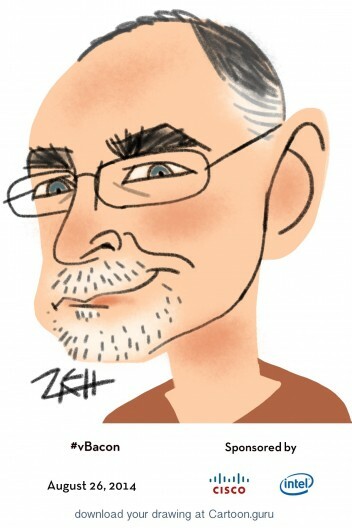 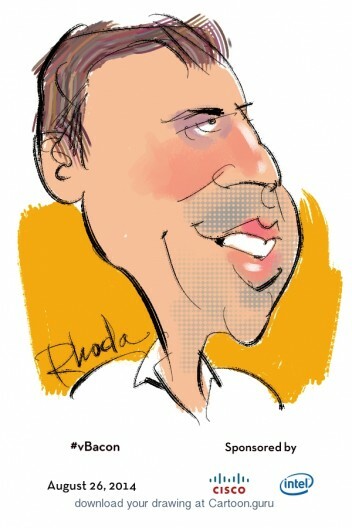 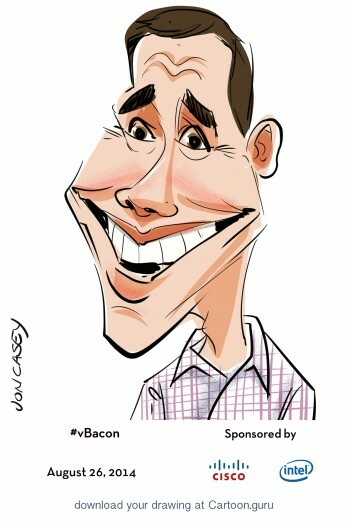 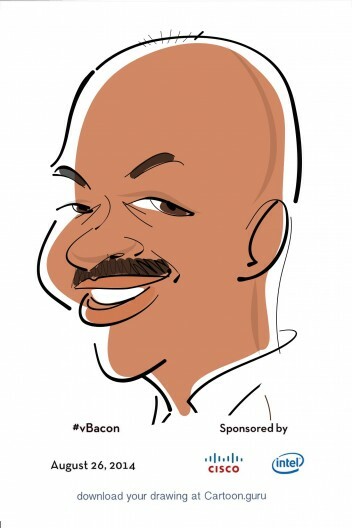 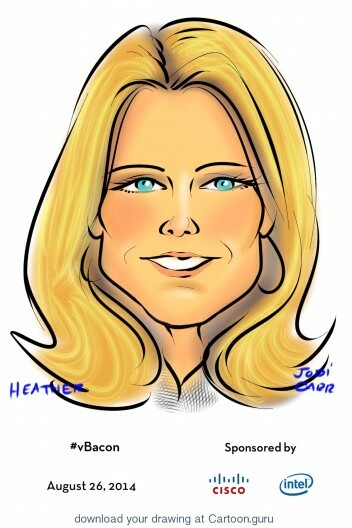 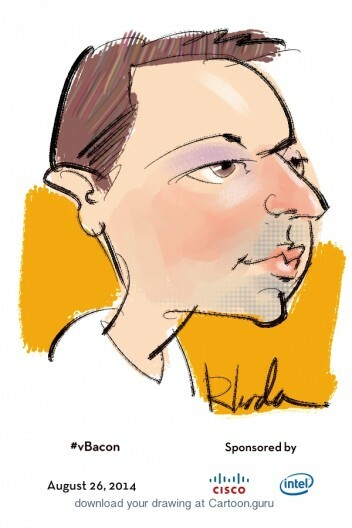 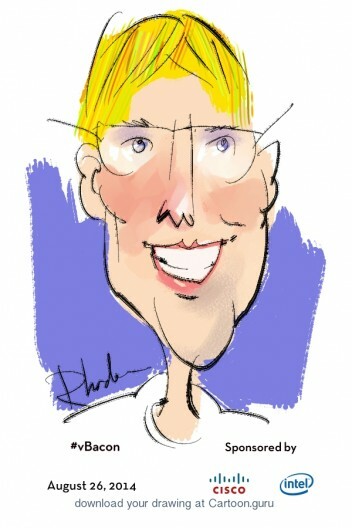 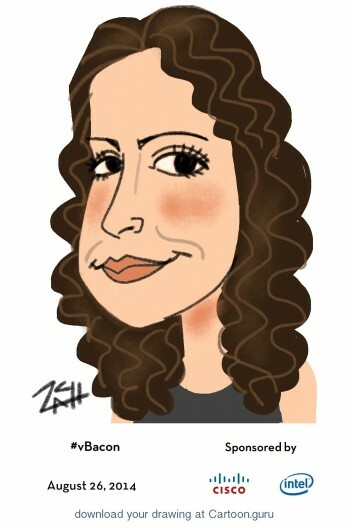 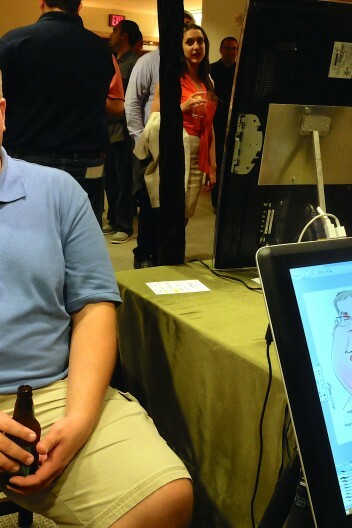 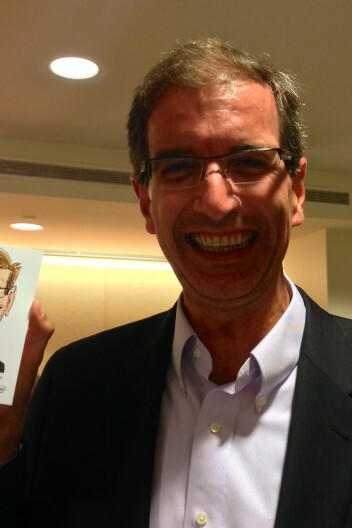 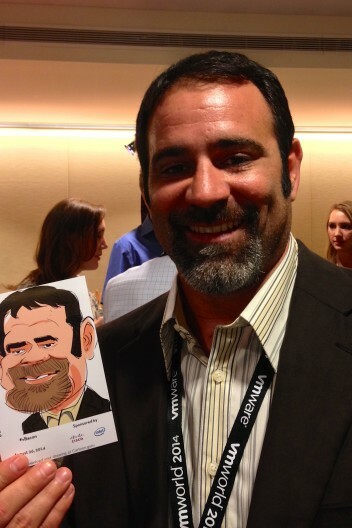 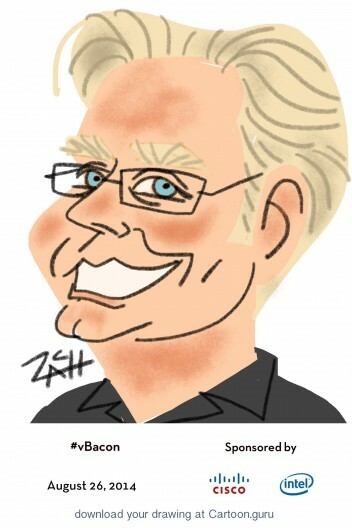 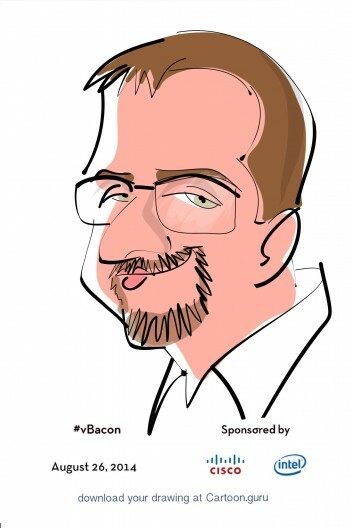 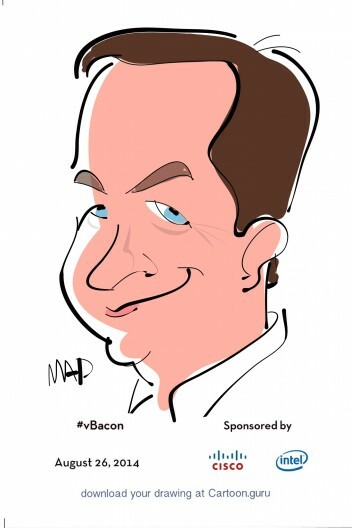 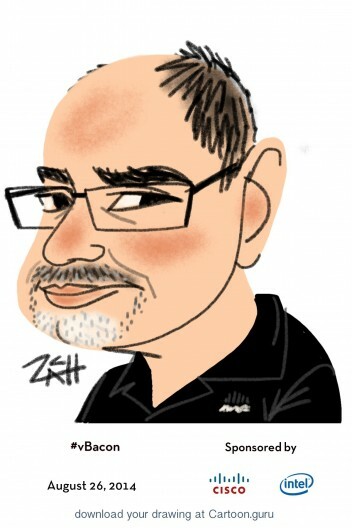 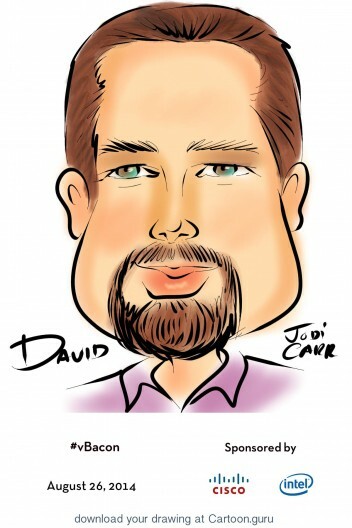 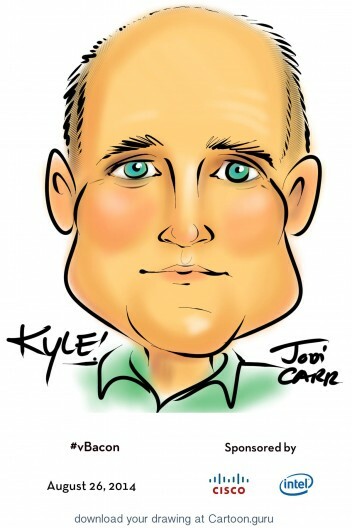 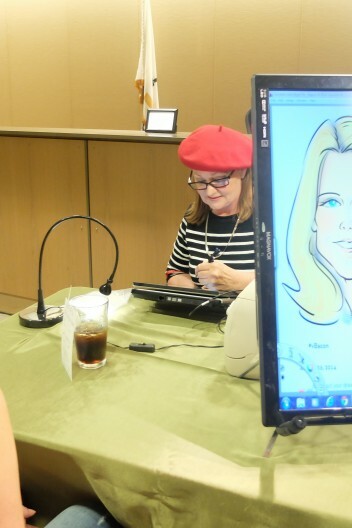 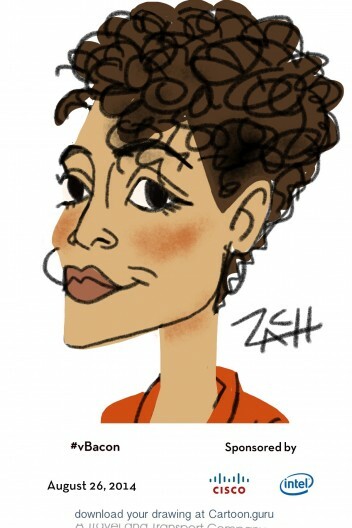 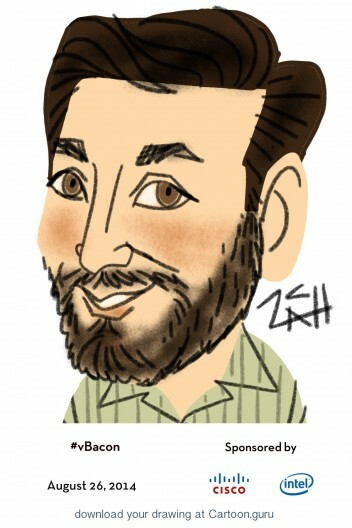 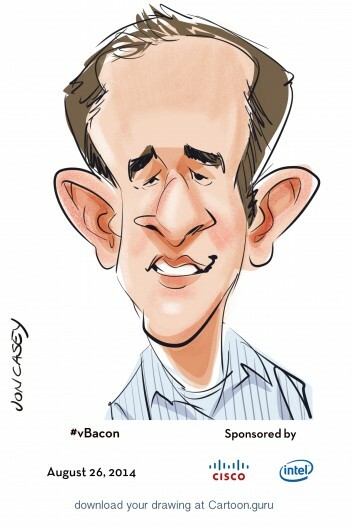 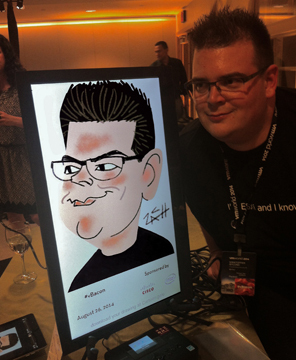 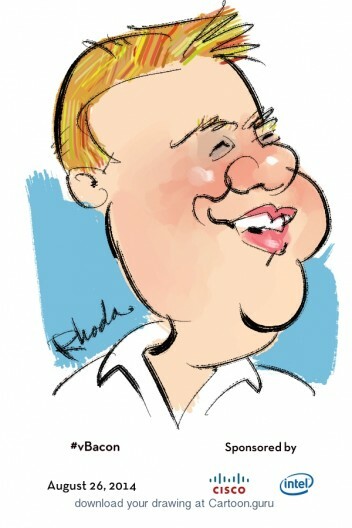 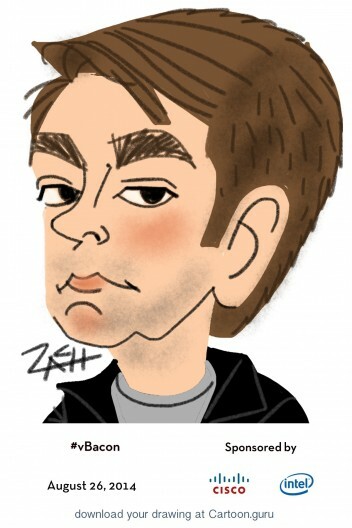 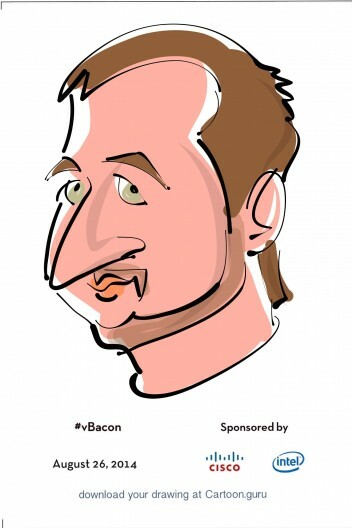 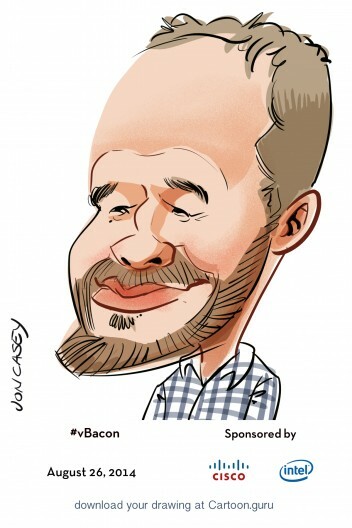 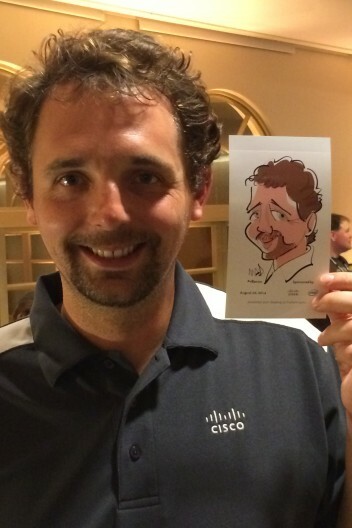 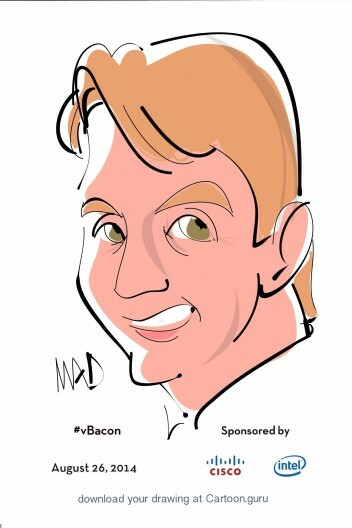 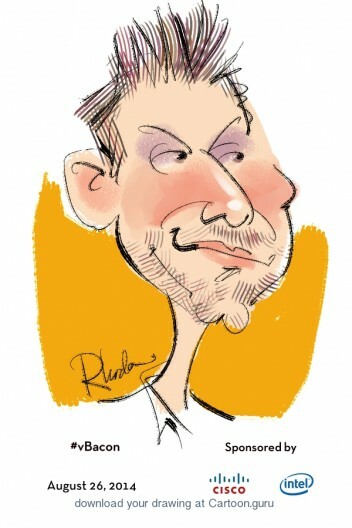 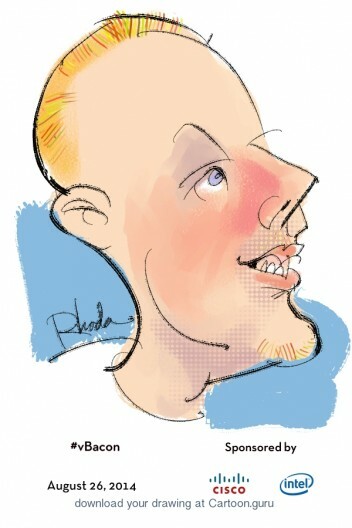 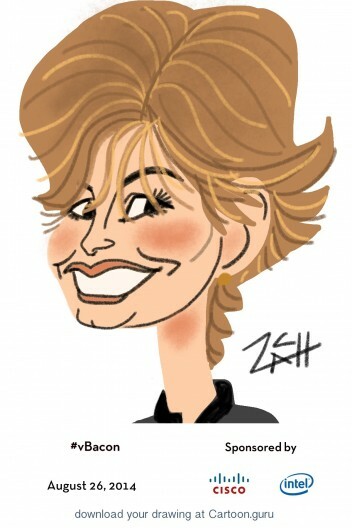 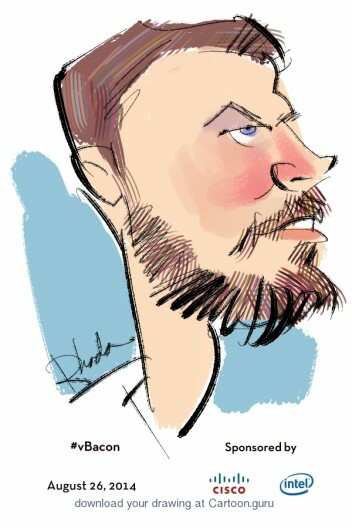 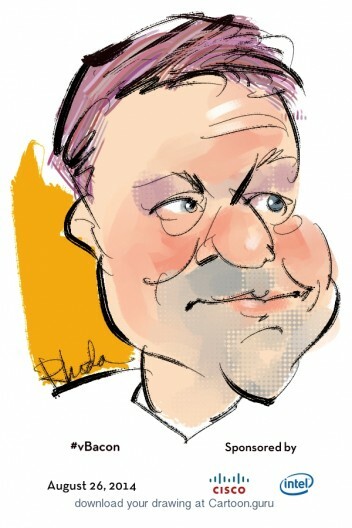 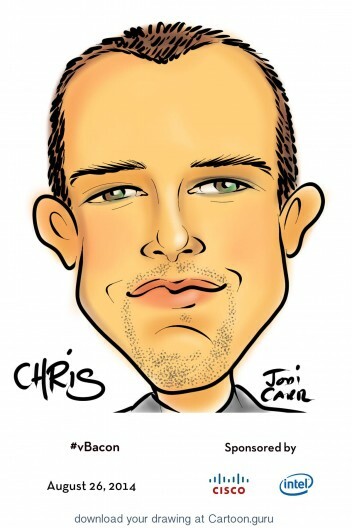 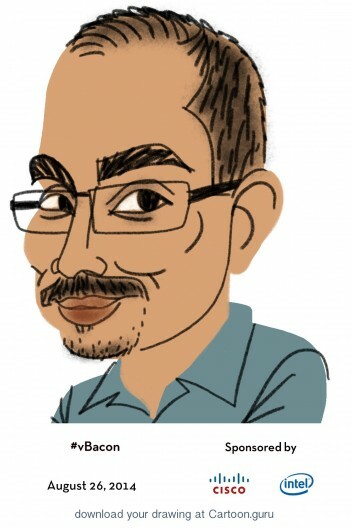 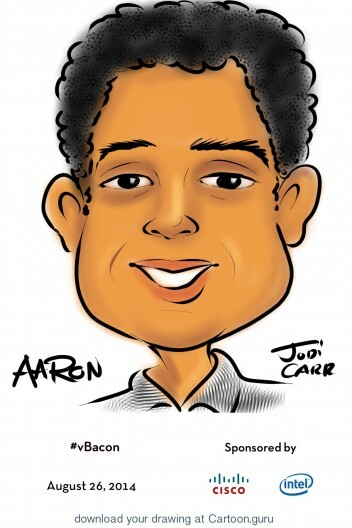 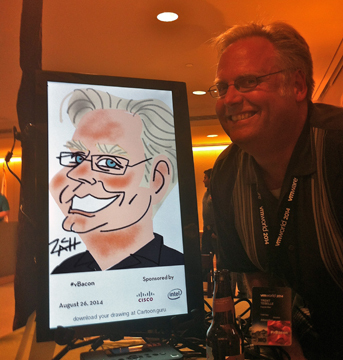 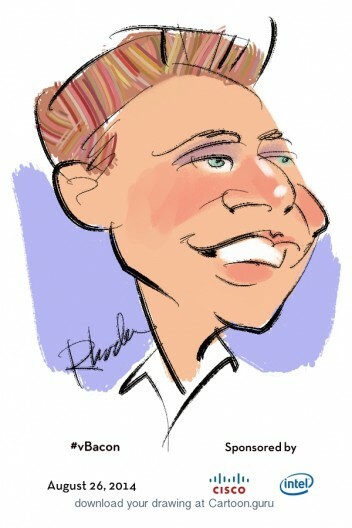 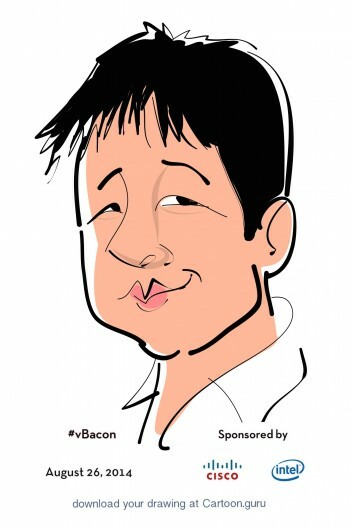 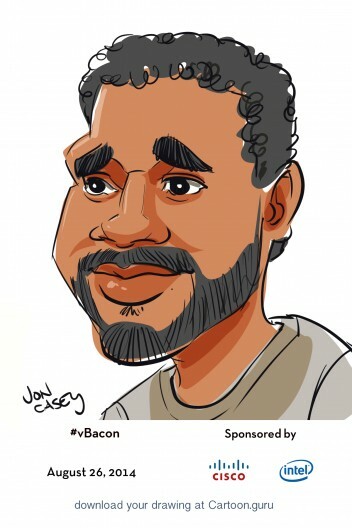 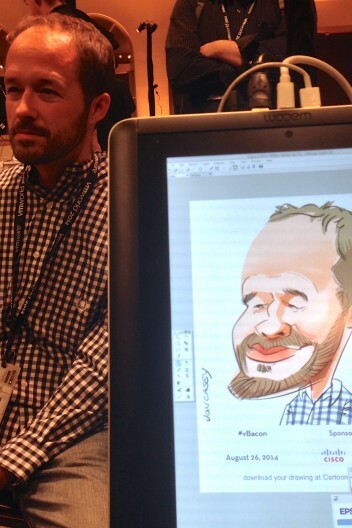 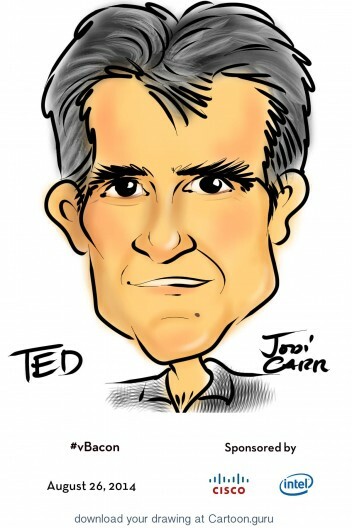 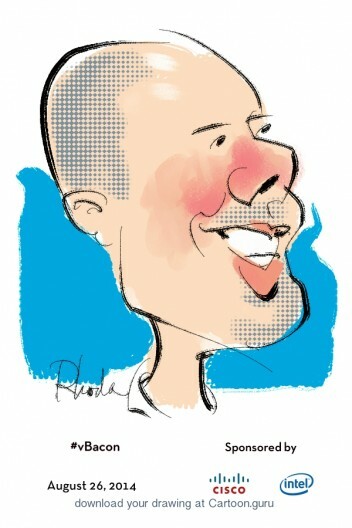 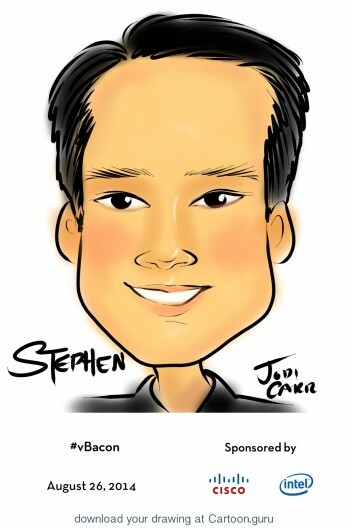 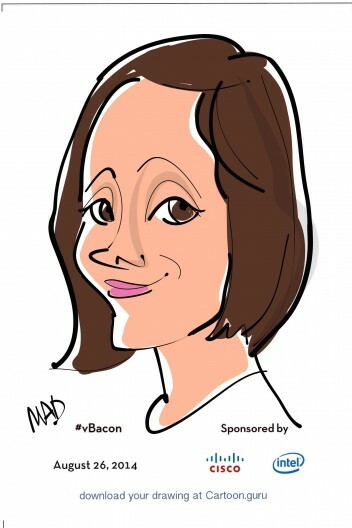 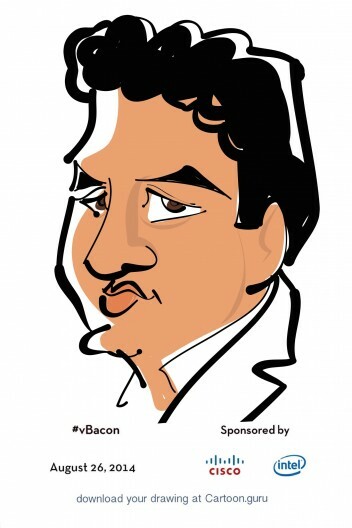 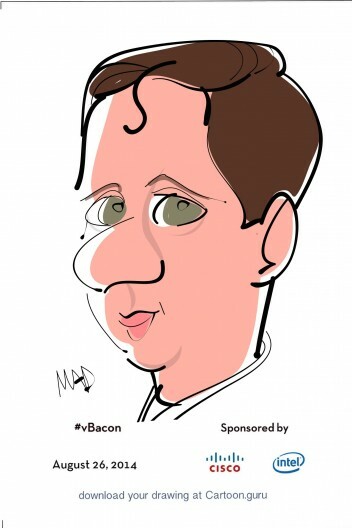 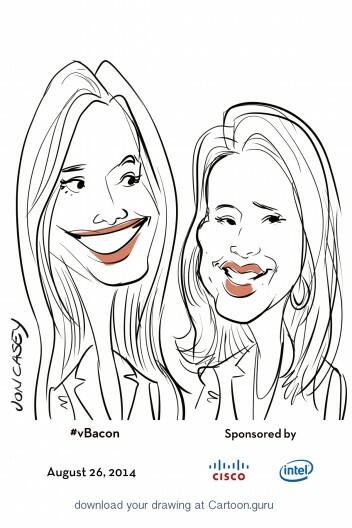 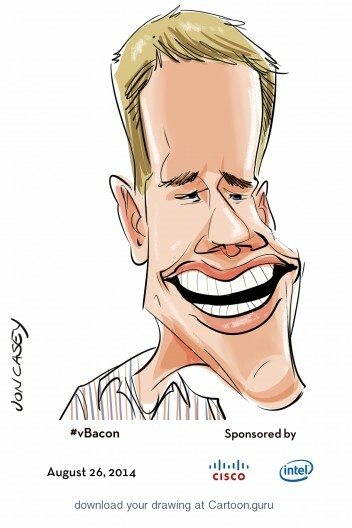 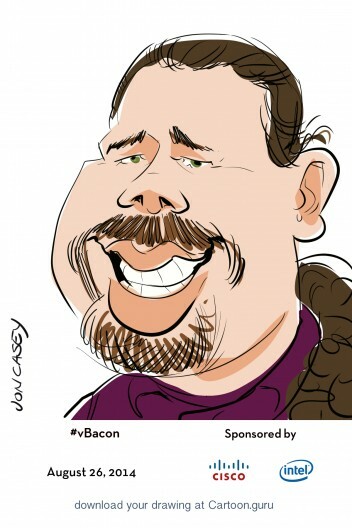 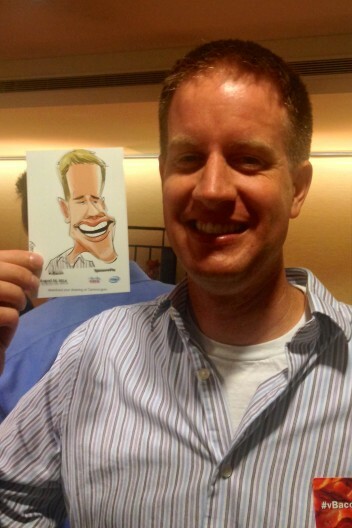 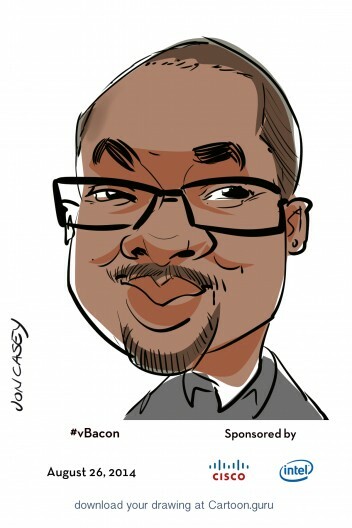 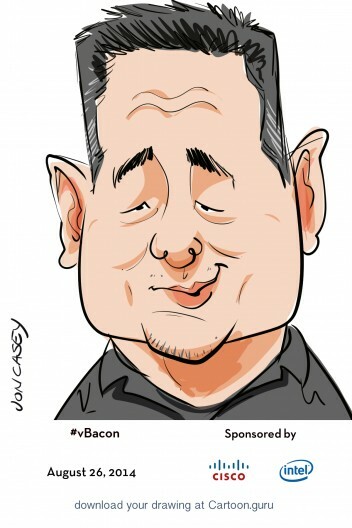 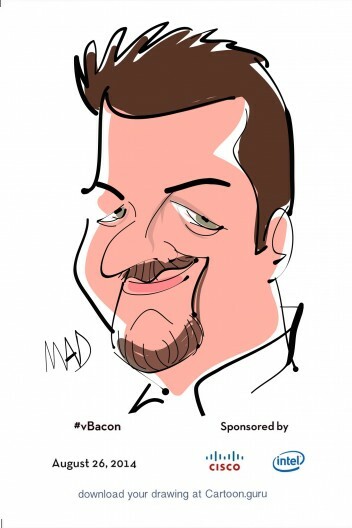 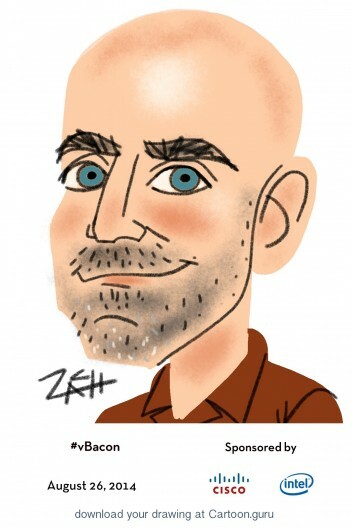 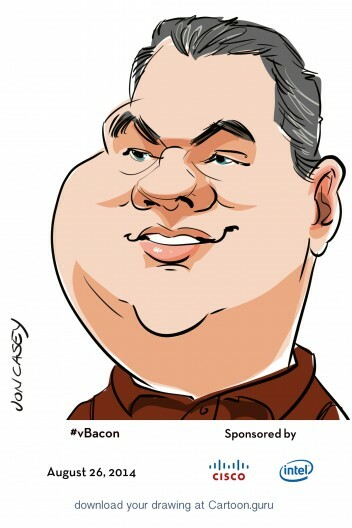 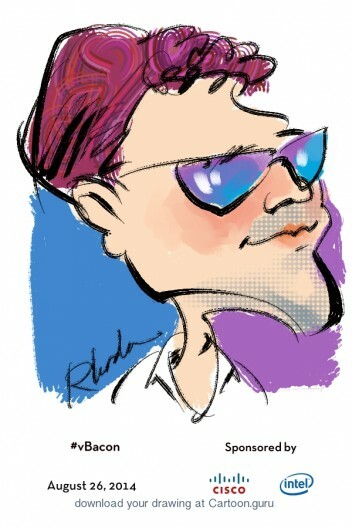 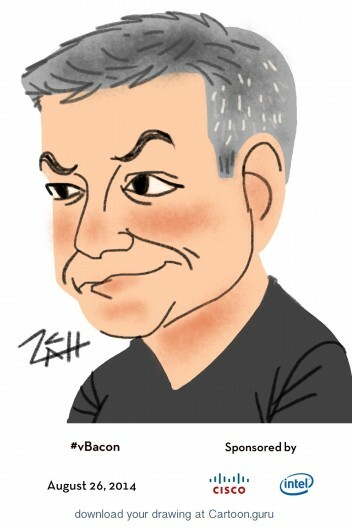 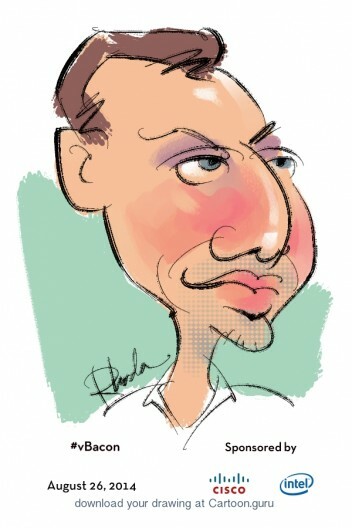 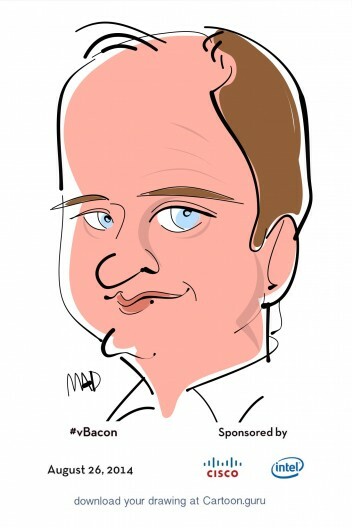 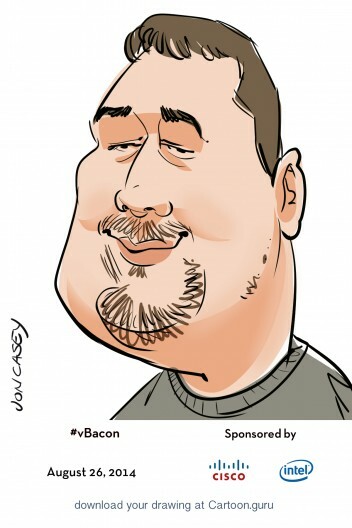 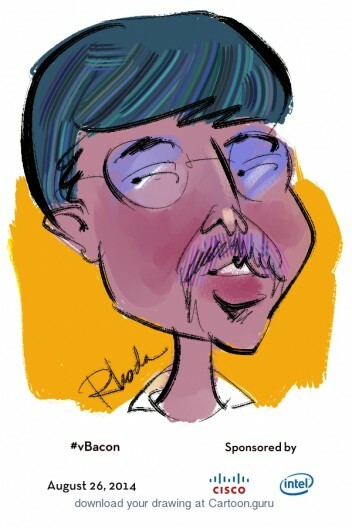 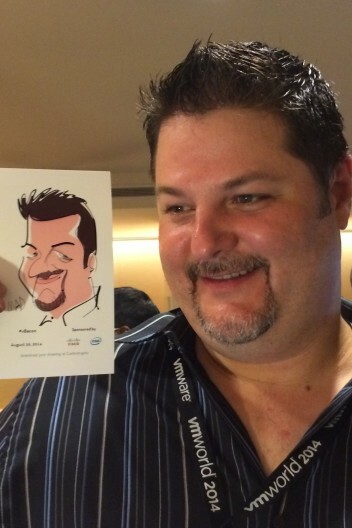 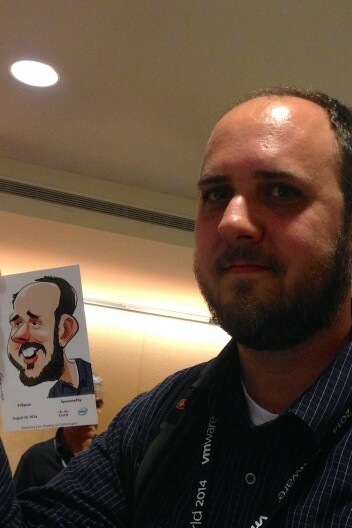 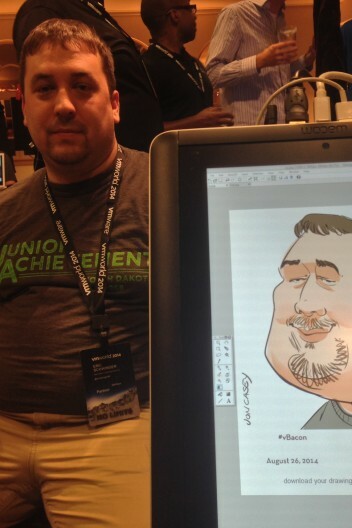 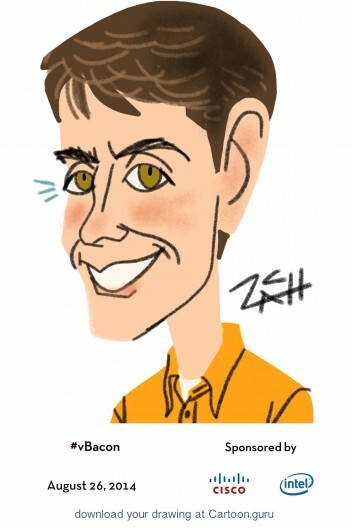 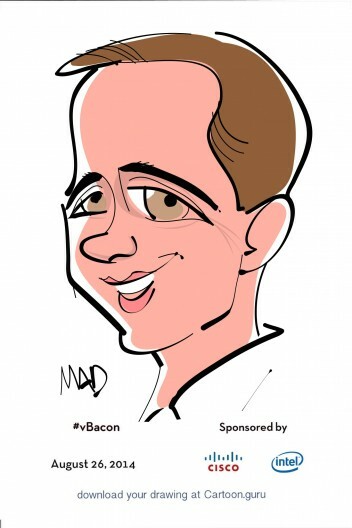 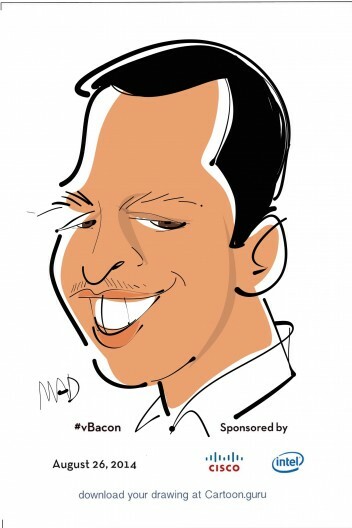 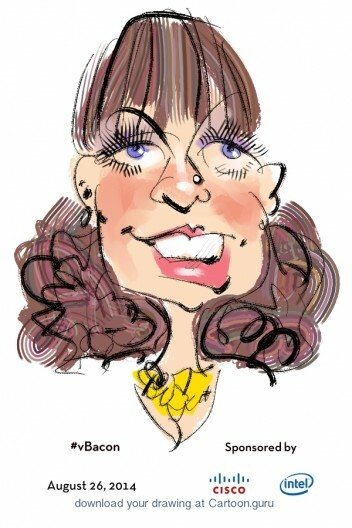 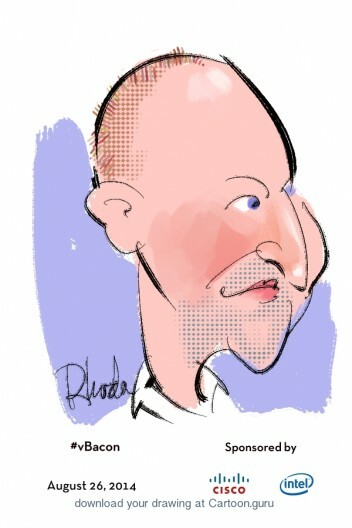 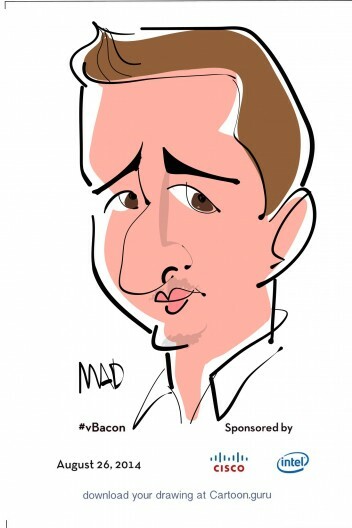 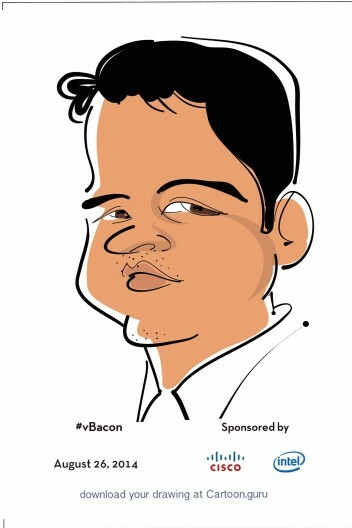 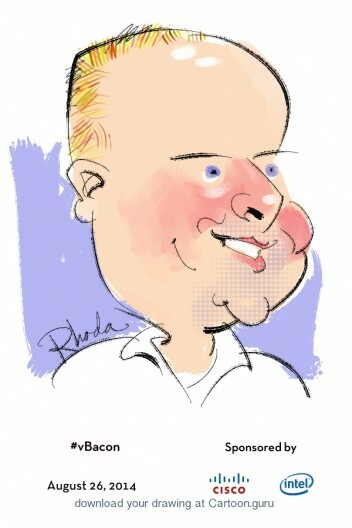 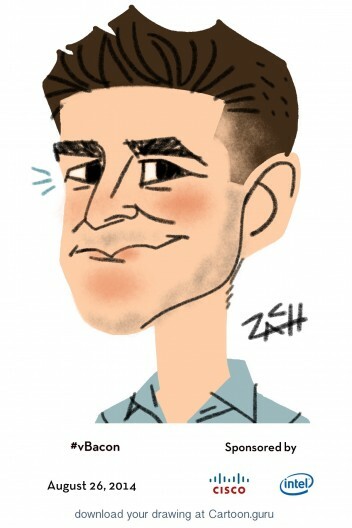 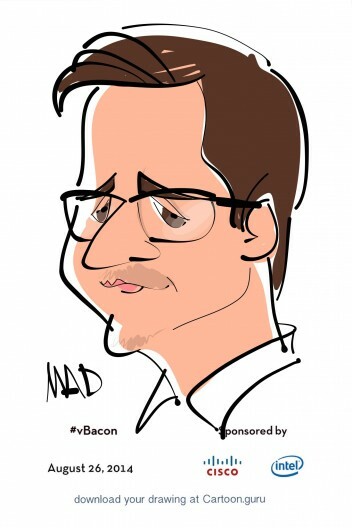 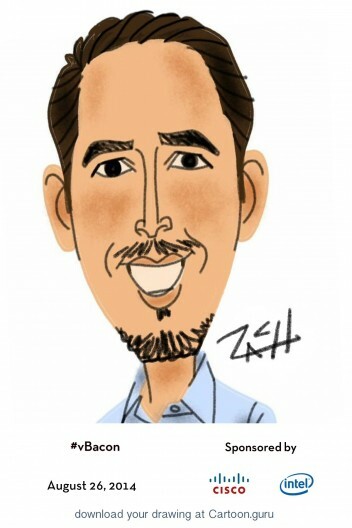 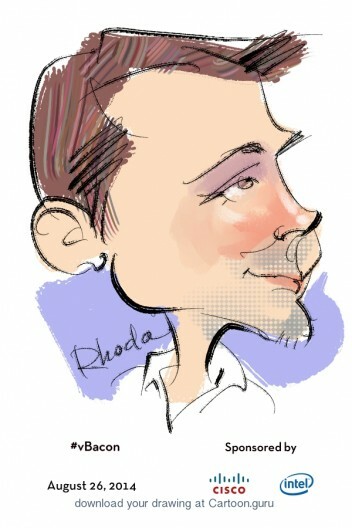 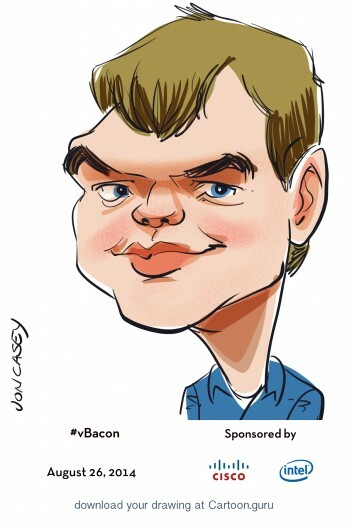 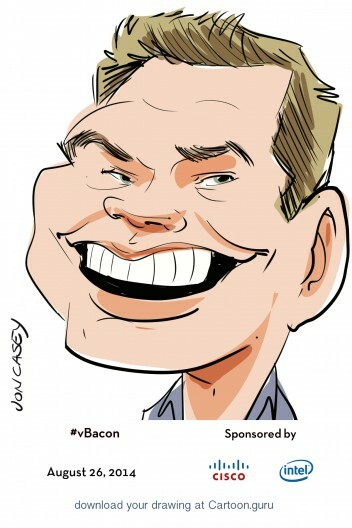 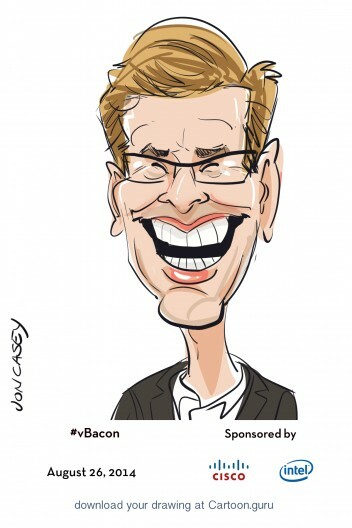 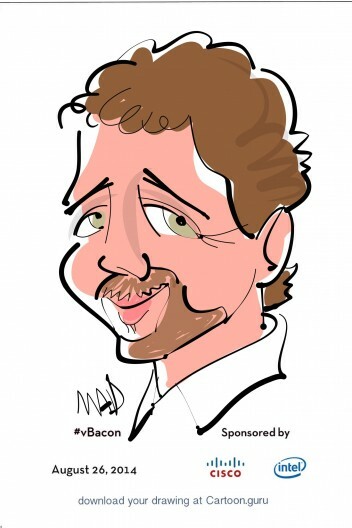 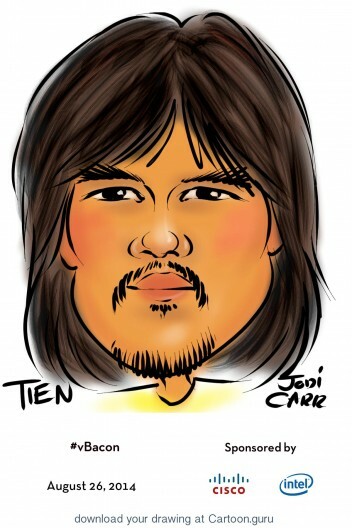 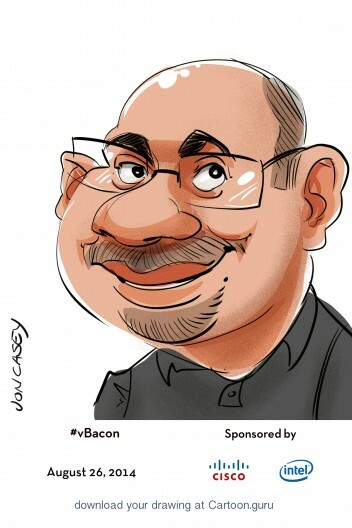 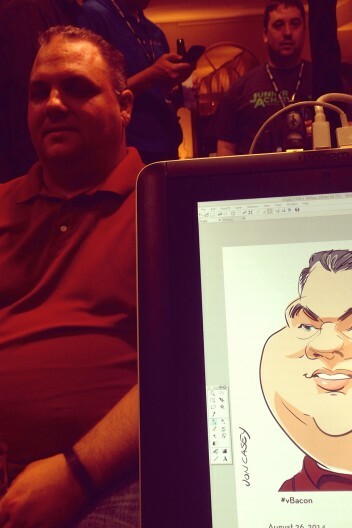 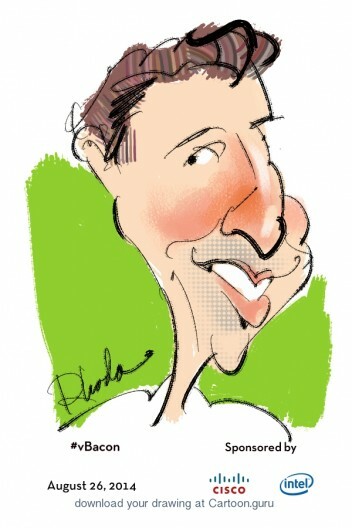 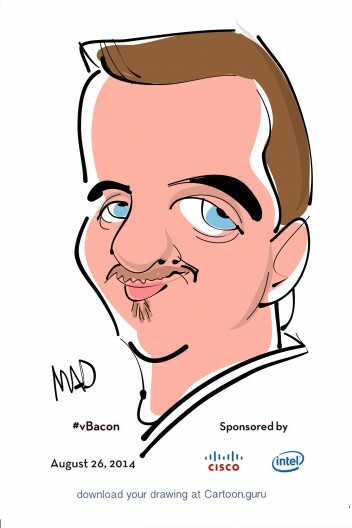 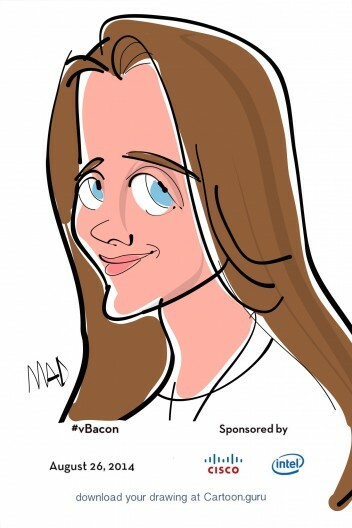 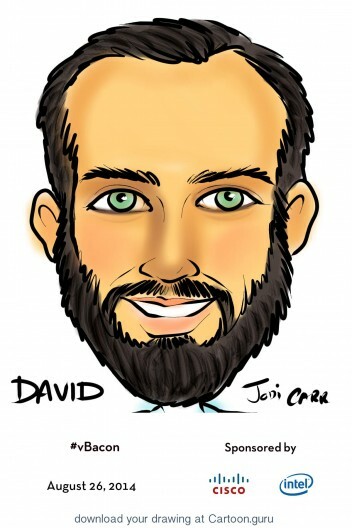 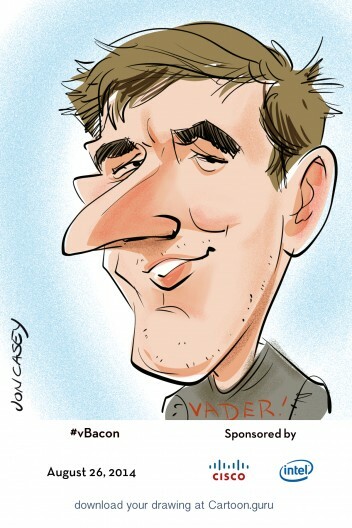 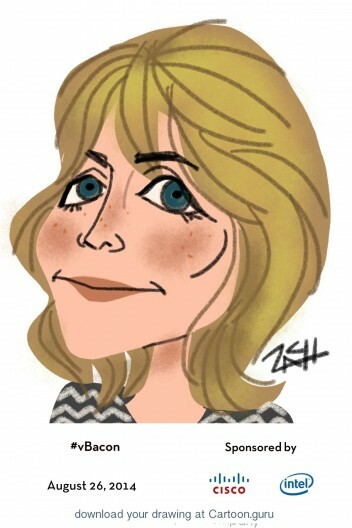 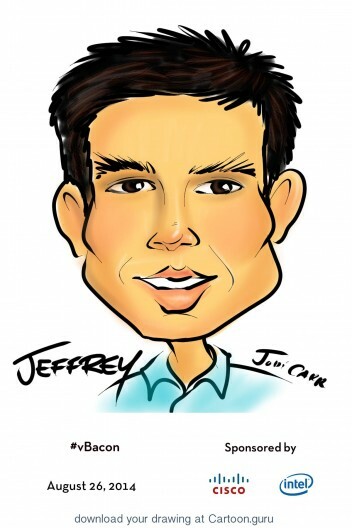 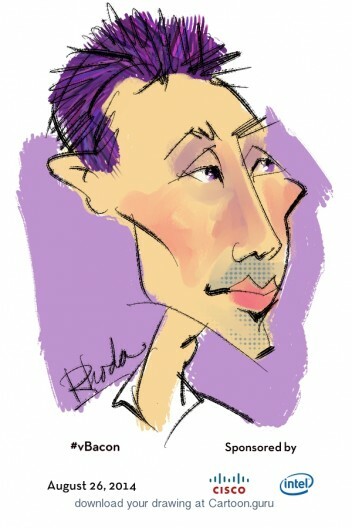 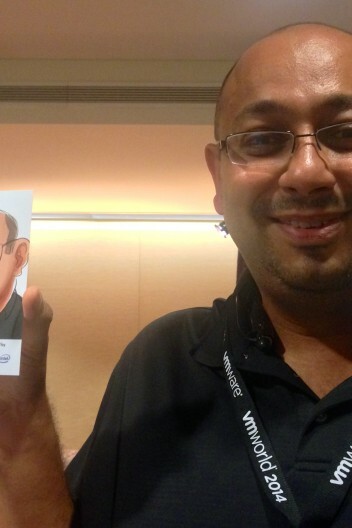 Hundreds of guests came and were sketched by the team of Cartoon.guru while snacking on bacon and discussing the events of the day during the VMWorld conference.